G S Haydon & Son Ltd are a North Devon based carpentry and joinery company supplying high quality bespoke joinery items; including doors, windows, stairs, interiors to name but a few. Our emphasis is always on quality and what the customer needs from complicated bi fold doors to a flush casement window no matter what you order. We have excellent relations with private customers, trades people and architects to undertake projects from a complete kitchen remodel, conservatory or just a replacement casement. G S Haydon and son has over 80 years experience in the carpentry and joinery trade as it was established since 1926. This has seen us encounter nearly every type of joinery and gain a great breadth and width of knowledge. 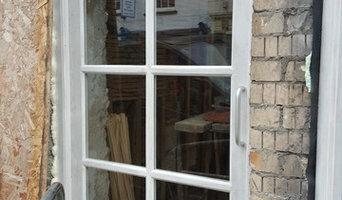 Bideford Joinery was established in 1987. For over 25 years Bideford Joinery has strived to produce high quality bespoke joinery at a very competitive price. Our small dedicated and highly skilled work force allows us to produce any joinery to your requirements. From the small jobs of one window to the full joinery requirements of a new build/restoration and barn conversions. We have even produced joinery for large new multi-story builds and mansion conversions in London. Here at Bideford Joinery we know that the price of quality doesn’t have to cost the earth! So before you order any joinery, call us for an estimate or come to our workshop. Are aim is to beat any other quotes and supply a second to none service. 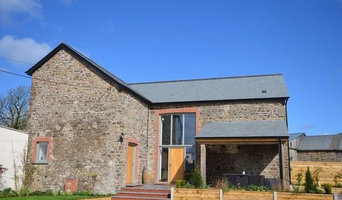 Awlwood Joinery was established at West Yelland, North Devon in October 1994 by Ian Wray. Ian initially trained and worked as a cabinet maker for nine years before making the change to joinery in 1979,and is able to offer more than 40 years of experience working with wood. In 1998 Ian was joined by eldest son David who served his apprenticeship as a Joiner and now assists in the running of this small but professional business which employs a team of skilled joiners in their Barnstaple based well equipped workshop. Our team of skilled joiners produce our bespoke custom made windows, doors, gates conservatories, staircases and bi-fold sliding/folding doors to our customers exacting standards. All employees are trained to a high standard and are regularily trained and updated to make sure Awlwood Joinery produce products to the highest standards of quality and workmanship and exceed our customers expectaions! Complete Joinery and Design Limited was founded in 2013 by Matt Cann and Simon Downing. We are a small, reliable, customer friendly company with over 35 years experience in all aspects of carpentry and joinery. We work from a well equipped, modern workshop manufacturing high quality, high performance bespoke joinery to individual customer requirements. We work in all types of hard and softwoods and are accredited and certificated users of accoya. 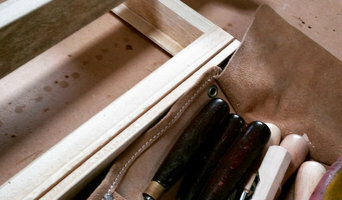 We are also members of the British Woodworking Federation. Kernow Carpentry, UK manufacturer of the "SoundDesks" range of DJ Booths, DJ Tables, Production Desks, Recording Desks, Broadcast Desks, Composer Desks, 19 inch Racks and Vinyl Record Storage units, most ready to ship next day. Kernow Carpentry specialises in the design, manufacture and supply of Custom bespoke pieces of technical furniture tailored to your requirements. Our products are installed in hundreds of clubs, pubs, homes, studios, churches, schools, universities and colleges all over the UK and will not be found for sale by anyone else. ased in North Cornwall, and covering the South West and further afield, Bright Joinery cater for all your bespoke woodwork needs. Operating from our new, fully equipped, purpose built workshop near Bude in Cornwall, we can undertake all your timber based products for your home, business and lifestyle. Using environmentally managed sources we are able to work with softwoods and hardwoods as well as man-made materials to complete your projects whether ultra contemporary or of more traditional classic designs. When deciding whether to employ a joiner or carpenter in West Down, Devon, it is best to pick your professional according to their experience on projects similar to your own. For example, installing bespoke joinery such as a staircase involves significant structural work and you might want to work with a carpenter in West Down, Devon with considerable experience in bespoke staircase joinery. You will often find you need to employ both a carpenter and joiner on a single project, and some firms will offer both skillsets which can simplify your overall hiring process. Where can I find a good West Down, Devon carpenter or joiner? On Houzz there are many professional West Down, Devon carpenters and joiners that specialise in providing a full carpentry service or bespoke joinery in West Down, Devon, whether dealing with fitted or freestanding, traditional or contemporary furniture. Simply search for a joiner or carpenter in West Down, Devon in the Find Pros category, then add images of designs that you like to an Ideabook and contact those on your shortlist. If you need reassurance beyond photos of their work and reviews of previous clients, then you might check to see if the carpenter or joiner is a member of The Institute of Carpenters (IOC), The Guild of Master Craftsmen, the British Woodworking Federation (BWF) or the Federation of Master Builders (FMB). Each asks its members to meet a certain level of expertise and abide by a code of conduct. Have a face-to-face consultation – basic brief and image references in hand – see which joiner or carpenter in West Down, Devon is the easiest to get along with and who best understands what you’re trying to achieve. How long have you been a joiner or carpenter in West Down, Devon? 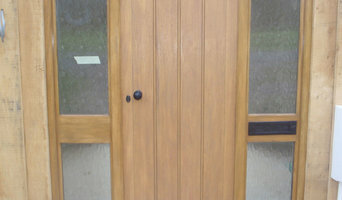 Do you offer bespoke joinery in West Down, Devon as well as standard carpentry? Find a carpenter or joiner on Houzz. Narrow your search in the Professionals section of the website to West Down, Devon joiner and carpenter professionals. 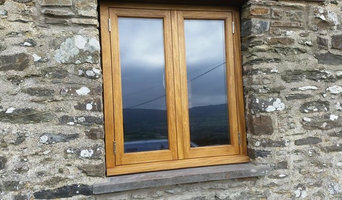 You can also look through photos of woodwork and bespoke joinery in West Down, Devon by style to find a design you like, then contact the joiner or carpenter in West Down, Devon that worked on it.